What are the Benefits of a Gel Pillow? How Do I Find the Best Gel Pillow? Who Should Use a Gel Pillow? Is your pillow keeping you from a great night’s sleep? The wrong type of pillow can affect your ability to both fall and stay asleep. Plus, pillow problems can directly cause chronic pain to your neck, shoulders and more. Traditional feather-filled pillows are usually the worst option for your body. They can cause insomnia, muscle pain, allergic reactions and many other problems. Gel pillows are a unique type of pillow with a variety of benefits over traditional pillows. Maybe you’ve heard of gel pillows but aren’t sure if they’re right for you. Well, we’re here to help! Our complete guide includes five great options to consider as well as a full rundown of how to find the best gel pillow for your needs. Traditional down pillows often have a lot of problems. They lose their filling and then flatten over time. Not only does this affect the comfort of the pillow, but the lack of support can cause a variety of head and neck problems. Gel pillows are different. They have a unique construction which largely prevents many of the problems associated with other types of pillows. Gel pillows were invented in 2006, so they’re relatively new. Most gel pillows will also use memory foam, which was invented by NASA in the 1970s. Memory form provides a balance between comfort and support. It shifts shape to provide targeted support for your head and neck. Plus, memory foam won’t flatten. However, memory foam gets hot. Body heat becomes trapped as you sleep, so the pillow grows increasingly warmer during the night. That’s where the cooling gel comes in. Adding a layer of gel helps draw the heat away from the pillow’s surface. Each manufacturer will use their own proprietary blend of gel. So, you probably won’t know precisely what the gel in your pillow is made with. While that might sound weird, it’s usually not a problem. The gel will be non-toxic and harmless. In most cases, the gel will be applied to synthetic materials to create a what’s called fiber gel. Gel pillows have a variety of unique benefits you won’t find in other types of pillows. As mentioned above, gel helps regulate the temperature of the pillow. 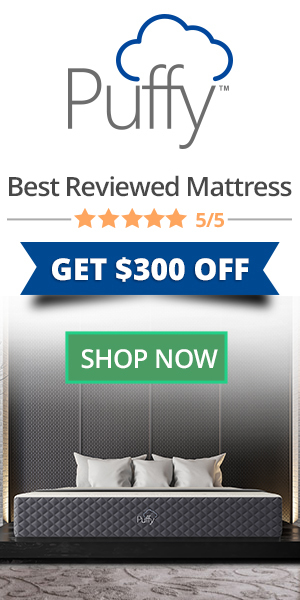 Memory foam alone will almost certainly be too hot for comfortable sleeping. However, the cooling gel will pull body heat and sweat away, keeping the pillow cool. Even better, the pillow will keep a consistent temperature during the night. You don’t have to flip it over to find the cool side. Gel memory foam naturally conforms to your head and neck. It provides support to individual pressure points. Skeletal misalignment when sleeping is a major cause of neck and back pain. But a gel pillow keeps your spine in the proper position, which helps reduce a variety of muscle and nerve issues. Gel pillows are usually a great choice for anyone with allergies, asthma and similar respiratory issues. Down filling can be a major source of coughs and sniffles. But gel pillows are down-free and naturally hypoallergenic. Plus, gel pillows effectively resist mold, mildew and dust mites. Spores and critters have no place to grow inside a gel pillow. Because of their overall cleanliness, gel pillows are often a good choice for children, the elderly and anyone with health issues. Gel and memory foam pillows are comfortable. If you’ve never felt one before, you might be surprised at the level of support these pillows provide. They conform precisely to your head and neck. Every pressure point is supported. These pillows have very little motion transfer. They stay still and stable even when moving your head. Motion transfer can accidentally wake you up throughout the night, so switching to a gel pillow can be an effective way to stay asleep longer. Down pillows degrade over time. The stuffing slowly, but surely, escapes from inside. It will also compress. Eventually, the pillow will be smaller and emptier. Gel pillows don’t have these problems. They always return to their original shape. Plus, there’s no internal filling which can fall out. Not all gel pillows are the same, just as not all sleepers are the same. You want a pillow which is a good match for your sleeping style. The three sleeping styles are back, stomach and side. If you sleep on your stomach or back, you’ll want a pillow which is relatively soft. That’ll be the most comfortable against your face while still supporting your neck. Back and stomach sleepers don’t need a lot of shoulder support. However, side sleepers will want a firmer pillow to provide additional support for their shoulders and spine. A firmer pillow helps side sleepers avoid aches and pains. Plus, proper spinal alignment can help reduce snoring, too. Generally, pillows which are best for stomach and back sleepers are too soft to provide the correct support for side sleepers. And pillows which are firm enough for side sleepers won’t be very comfortable for back and stomach sleepers. The first step to buying a gel pillow is to identify what sleeping position you prefer. Smaller pillows are usually a good fit for side and stomach sleepers. A smaller pillow can fit into the space between your head and shoulder, which provides proper spinal support. Some stomach sleepers prefer sleeping with no pillow at all. Unfortunately, that can put a lot of stress on your muscles. At the very least, you’ll want to put a small pillow underneath your pelvis to keep your spine properly aligned. You’ll also want to consider the pillow’s loft, which is just a term for the pillow’s height. The average adult should have their head about four to six inches higher than their body when sleeping. That height range will keep your spinal column in the correct position. A loft of about five inches is pretty common for most gel pillows. Gel and memory foam pillows require an adjustment time. They’re usually compressed for shipping. You’ll need to let the pillow decompress. This is usually a pretty quick process but can sometimes take up to a few hours. Your pillow might have a chemical smell at first. Any odor should fade within a few days. Some people feel the smell is uncomfortably strong so they’ll wait until it’s gone before using the pillow. Gel pillows require a break-in time. For the first week or two, the pillow will likely feel very firm. But the gel and memory foam will eventually expand and soften. Because you’ll need to sleep on the pillow for weeks, the manufacturer’s warranty is pretty important. You’ll want the option of returning the pillow after at least 30 days. That will give you enough time to know if the pillow is a good firmness and fit for your needs. You don’t need any special reason to get a gel pillow. Many people prefer them simply because they’re comfortable and easy to care for. But there are also quite a few specific situations where a gel pillow makes a lot of sense. Gel pillows can be a low-cost, effective way to treat a variety of sleep issues. Because they stay cool, they’re often a solution for anyone who suffers from night sweats. A cooling pillow helps prevent sweating by drawing heat away from your head. Of course, some people don’t have a medical problem but are just naturally warm. A cooling pillow provides relief on warm summer nights as well as during colder seasons when your bed is typically covered in blankets. Many people want to know if these pillows can treat insomnia. The answer is: maybe. Insomnia has far too many potential causes for a cooling gel pillow to be considered a cure-all. But it can be effective if physical pains or temperature issues cause your insomnia. Another group of people who often benefit from a gel pillow are those we affectionately call “neat freaks.” Regular down-filled pillows are filled with nooks and crannies where bacteria, mold and mildew can hide. But gel memory foam pillows are much cleaner. You’ll rest easy with this gel pillow from DreamNorth. It’s filled with poly gel fibers which conform to the specific shape of your head and neck. Think of it like a Goldilocks pillow. It’s not too firm and not too fluffy. Instead, it’s supportive and comfortable. The pillow has an exterior layer made from 100% cotton which is soft against your face. It also keeps you cool on hot nights by pulling sweat and heat away. The pillow is also hypo-allergenic which prevents respiratory irritation. Ultra-soft and lightweight, this pillow is a good choice if your current pillow is too firm or uneven. Enjoy the comfort of a luxury hotel without having to leave your house. This two-pack of gel pillows from Beckham Hotel provides plenty of support and style. The pillow is made from super-plush fiber which means its comfortable in practically every sleeping position. No-shift construction keeps your head and neck from sliding into uncomfortable positions during the night. Do you often wake up with a stiff neck? Replacing your current pillow with this one can be an effective remedy. It’s also a good choice if you suffer from allergies, asthma and other breathing issues. Each pillow is resistant to mold, mildew, dust mites and other unwanted funkiness. Free from allergens and chemicals, you’ll be able to breathe easy all night long. Once you find a pillow you like, you’ll want to keep it for as long as you can. Fortunately, this pillow is both fade and stain resistant. It’ll last for many years while still looking brand new. Plus, keeping your pillows clean is easy because they’re machine washable. The most important feature of a pillow is arguably comfort. This gel pillow from Sleep Restoration uses “super plush” gel fiber to comfortably cradle your neck and head. It stays comfortable regardless of your sleeping position. Aside from comfort, the pillow is also a great choice for anyone with respiratory issues. Mold, mildew and dust mites aren’t able to grow and thrive anywhere on or in the pillow. Recommended for anyone who suffers from allergies and asthma. Plus, the 30-day money-back guarantee makes this a great option if you’ve never had a gel pillow before and aren’t sure what to expect. You get a full month to sleep on the pillow. If it’s not for you, you can return it for a full refund. The manufacturer says the pillow is “like sleeping on a cloud” and we agree. It’s light, cool and comfortable. You can’t always control the temperature in your bedroom, but the right pillow can make a big difference in your comfort during the night. This pillow from Classic Brands has special features designed for both cold and hot weather. The reversible pillow has a memory foam side and a cool gel side. The gel draws heat and sweat away from your body, keeping you cool. But if you want to warm up, the memory foam side conforms to the shape of your head to help keep you comfortably toasty. A five-inch loft (pillow height) provides comfort for your head and neck. It’s suitable for practically any sleeping position including side, back and stomach sleepers. This pillow from Weekender is one of the coolest gel pillows available. It’s ventilated with Pincore technology which allows for efficient air circulation. Heat is pulled away from your body and replaced with cool air. The temperature of the pillow doesn’t increase over time and instead stays comfortably consistent. A five-inch loft allows for natural spinal alignment and can help heal neck and shoulder pain. Much firmer than down, your body will feel well supported. It’s well-suited for back, side and stomach sleepers. An ultra-soft cover keeps the pillow feeling fresh. Simply remove and toss it in the washing machine to keep it clean. Because the pillow doesn’t lose its shape over time, it’ll seem brand new for years. All of the pillows on our list are well-made and have plenty of features to offer. But our favorite is the premium pillow from DreamNorth. It has the broadest appeal to the widest range of sleepers. First, the poly gel fibers provide enough firmness for side and back sleepers. But it’s soft enough for stomach sleepers, too. Also, the temperature control is reliable and effective. Not only does the cooling gel keep the pillow cool all night, but the 100% cotton exterior layer wicks sweat away from your head. If you’re looking for a solution to nighttime sweating and overheating, this pillow is a good choice. One aspect we don’t like is the manufacturer’s warranty. While they do offer a year warranty, it only covers defects. Other manufacturers will let you return the pillow if you don’t like it, but you can only return this one if there’s an obvious flaw. However, this pillow is still our top choice. It’s size, loft and firmness will appeal to just about all sleepers. We don’t think most people will feel the need to return it.